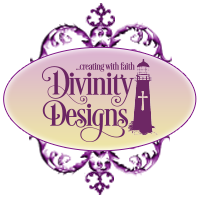 Divinity Designs, LLC Blog: Customer Card of the Day - Lynda Pleckan aka JustCallMeNana! Customer Card of the Day - Lynda Pleckan aka JustCallMeNana! Happy Thursday, everyone!!! "It's beginning to look a lot like...." Customer Card of the Day! This time around we have the most fun and clever card that mimics gift-wrapping! Please help me to congratulate Lynda Pleckan aka JustCallMeNana for creating this wonderful card!!! The red, gray, and silver color combo is super striking and I love how the stars from the "His Birth" set (cut out with the ODBD Custom Sparkling Stars Dies) appear to glow due to the silver embossing, especially against the red ribbon! Fabulous card, Lynda!!! To see more of Lynda's beautiful creations, please visit her blog, Paper Arts Cafe, or her Splitcoast gallery, JustCallMeNana. Please leave some love while you are there, k? Thanks for visiting with us today!! Congratulations, Lynda! Your card is beautiful and meaningful!! Great achievement!! So lovely. Beautiful colors for a sparkling card. What a pleasant surprise to see my card here as I was strolling through the ODBD blog! Thank you so much for your kind words and recognition. I love ODBD stamps. I do miss your challenges, and hope you will bring them back.